There's nothing like staying at a beautiful hotel and having an even more beautiful restaurant to eat in while you're enjoying your stay. That's exactly what you get when you visit Evangeline Downs Racetrack Casino Hotel, located in the heart of Louisiana's Cajun Country. Not only does this amazing hotel offers rooms to stay in, but you can also play, be entertained and dine while you enjoy your stay. When it comes to southern fine food, Evangeline offers nothing but the best on classic Louisiana style meals. 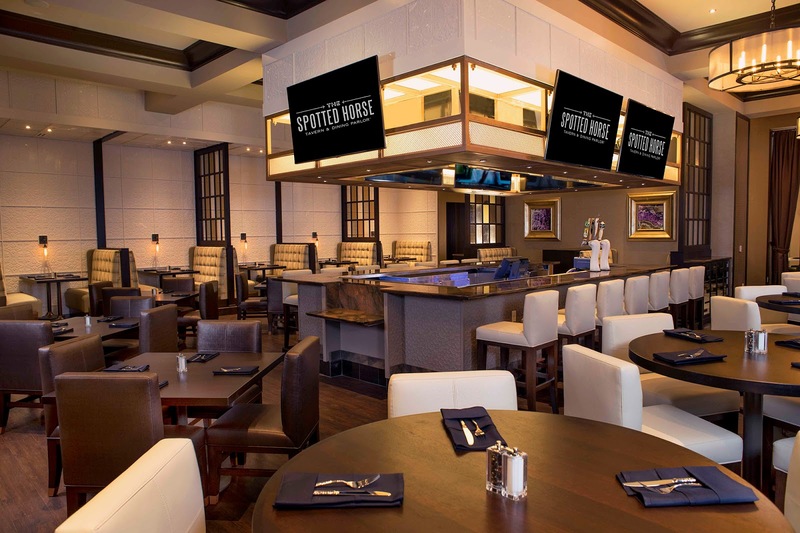 Most recently, the hotel debuted The Spotted Horse Tavern and Dining Parlor. The Spotted Horse is, "a dinning experience like no other," according to Ted Bogich, Senior Vice President of Operations for Boyd Gaming, owner and operator of Evangeline Downs. The restaurant gives modern takes on traditional Louisiana flavors, offered in a beautifully designed and whimsical setting. The restaurant was inspired by an urban legend of a “long-necked spotted horse” ( aka: giraffe) winning the race by a neck. The restaurant's taste for the fantastic is reflected and shown throughout the new space. Offering a tavern on one side, great for sipping a local brew and enjoying down-home cuisine; and a full-service restaurant on the other side, you'll leave the restaurant feeling 100% satisfied with your meal. The dining selection varies from Southern staples to unique and creative new dishes. Small plate starters include chicken and sausage gumbo, citrus-glazed pork belly and prawns, and crawfish and corn bisque. 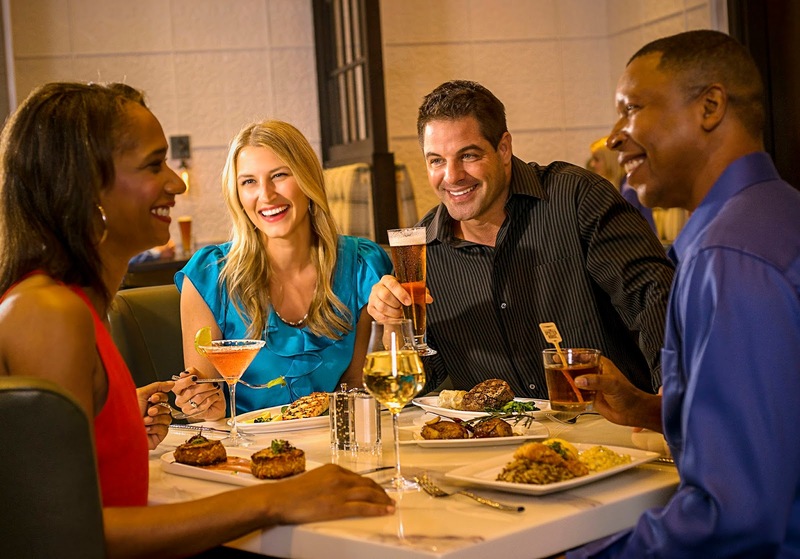 The remarkable entrée selection includes favorites like fresh Louisiana catfish and country-braised short ribs, as well as dinner-for-two selections like beer can chicken for two and a certified Angus Beef tenderloin for two. Guests can finish their meal with a diverse dessert menu that offers something for every sweet tooth, from the light and cool berries and cream to the rich and decadent warm bread pudding. The tavern menu includes burgers, soups, sandwiches, and classics such as Bay Shrimp Cocktail, Crab Cake, Lobster Mac and Cheese and more. I definitely wish this would have been added when I went to Louisiana earlier this year, this place sounds and looks amazing. So many things to do in one place. I can't wait until I head back to Louisiana with the hubby, this is definitely a place I'd love to stay at. The food sounds amazing and if they're anything like the food I had while visiting New Orleans, I know I'm going to be one happy girl. Disclosure: This has been a sponsored post. All opinions are my own. Compensation was received. Reese Spreads (Review & Giveaway) #DoYouSpoon?